Today the United States Department of Agriculture – National Agricultural Statistics Service released its annual Prospective Plantings report for all major crops. Here is what USDA has to say about the 2015 corn crop acres specifically. That national trend is also expected in South Dakota where farmers are projected to plant 5.2 million acres of corn, down 600,000 acres from the year before and down one million acres from 2013. If realized, this would be South Dakota’s lowest corn acreage since 2011. So what will the state’s family farmers plant instead? Below are the prospective planting numbers for all major crops grown in South Dakota. While these are only projections, crop margins and spring weather will play a major role in the final determination for farmers. But if you do the math, the total projected crop area in South Dakota would be down 137,000 acres from 2014. That’s a lot of unassigned acres and it will be interesting to see how spring planting plays out. Best of luck to South Dakota’s farmers as they head out into the fields during the next couple of months! And for everyone else, stay safe and be alert for slow moving machinery on the rural roadways during the next few months. Slow down, put the phone down and enjoy the view. 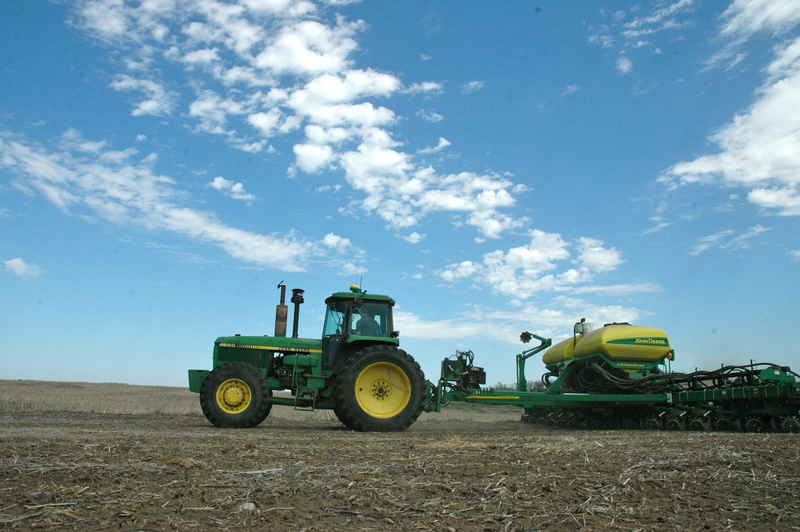 This entry was posted in News and tagged #plant15, corn, farm, planting, South Dakota, USDA.